TORONTO, March 14, 2018 – The Canadian Council for Aboriginal Business (CCAB) and Sodexo Canada are pleased to announce Fort McKay First Nation (FMFN) Fort McKay Group of Companies (FMGOC) as the recipient of the CCAB 2018 Aboriginal Economic Development Corporation (AEDC) of the Year Award. The award will be presented at CCAB’s Annual Calgary Gala on May 10, 2018 at the Westin Calgary. Given its geographic location, Fort McKay has championed many opportunities to work with the forestry, oil sands, and pipeline industries in Alberta. Over time, they became known for their commitment to establishing and maintaining positive partnerships with surrounding industry while still preserving their cultural values. FMFN made its first major foray into business in 1986 when it established the Fort McKay Group of Companies (FMGOC), which is fully owned and operated by the Fort McKay First Nation. In addition to this FMFN has also established numerous joint venture companies. It is this progressive collaboration that continues to contribute to a legacy of pride and promises a brighter future for generations to come. By forming constructive partnerships, Fort McKay First Nation is able to implement the necessary framework to support progressive economic, industrial, and social developments in the region. CCAB would like to recognize and thank Sodexo Canada the founding and exclusive sponsor for the Aboriginal Economic Development Corporation (AEDC) of the Year Award. Sodexo is proud to be celebrated as one of the top diversity employers in Canada and a Progressive Aboriginal Relations (PAR) Gold Certified company. Quality of life is central to the performance and growth of individuals and organizations. Working from this perspective, Sodexo has redefined how to best serve its clients’ complex needs. It is dedicated to improving the quality of life for individuals and organizations wherever they work. 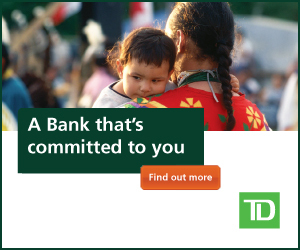 CCAB is committed to the full participation of Aboriginal people in Canada’s economy. A national non-profit, non-partisan association, CCAB offers knowledge, resources, and programs to both mainstream and Aboriginal owned companies that foster economic opportunities for Aboriginal people and businesses across Canada.